What more can we say about Paul Barth and his guitar-building legacy that gave birth to the modern electric guitar! 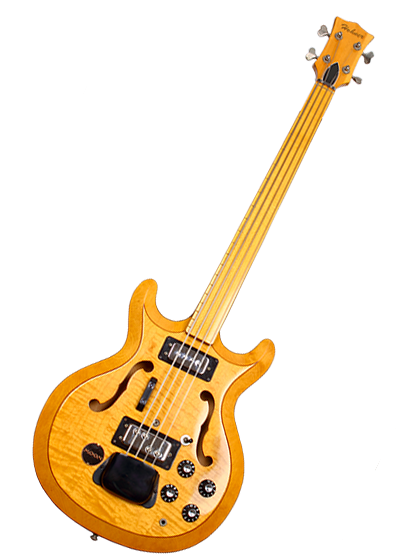 This 1968 Hohner-Bartell "Black Widow" is a rare "One-Off" early employee-built "Fretless" Bass. Even though "Hohner" is on the headstock... the label inside the F-hole states "Mfg. by Bartell of California". So what makes this prototype "Black Widow" Bass uncommonly rare... well all of its earlier ancestors were usually painted with a black finish. These guitars never featured this type of incredible two-tone body finish, nor the fine lines around the unusual German carved top or the rich ebony-black binding around the back. 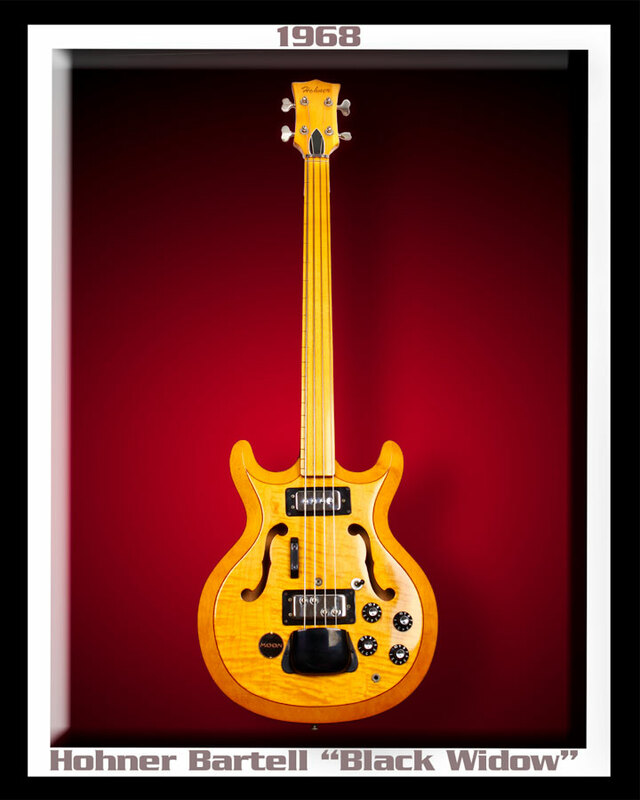 The early Hohner-branded Bartell basses, just like the Bartell companion guitars, were all designed by Guitar Wizard Paul Barth, a former master guitar-builder for Rickenbacker, Magnatone and National. The Hohner-Bartell and Bartell brands had a close relationship to the Acoustic Corporation's "Black Widow" model. 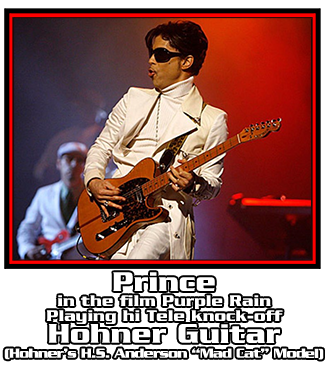 Paul Barth took his design to Hohner and started producing some of the earliest "Black Widow" models (similar to the "Black Widow" prototype guitar featured in the Hendrix photo). The overall shape between the Hohner-Bartell & the Acoustic Corporation models were vertically the same. The major differences are F-holes on a chambered body, two pickups (on the bass), and an option to have it in natural maple finish with a maple fretboard. 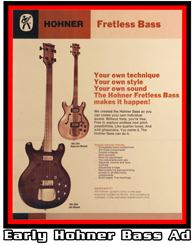 Also, while the Acoustic Corporation only made fretted basses, the Hohner models were primarily "Fretless". Jimi Hendrix's fretless guitar (which he only used for slide work) was manufactured in Riverside, CA. According to legend, Hendrix really loved this guitar. 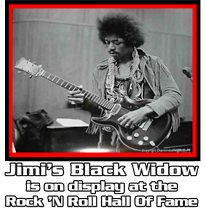 At some point, Jimi's "Black Widow" guitar was stolen. Hendrix commissioned another one to be manufactured with some of his personal adjustment specifications. Barth was in the process of building a second prototype for Hendrix when Jimi died unexpectedly... on September 18, 1970 in London.